We all have a shoe-obsessed friend. She can rattle off every footwear designer when quizzed, and probably has a shoe closet that can rival that of Carrie Bradshaw. For a woman who has way too many shoes, it’s probably a cliché to buy her even more pairs for her birthday or Christmas. 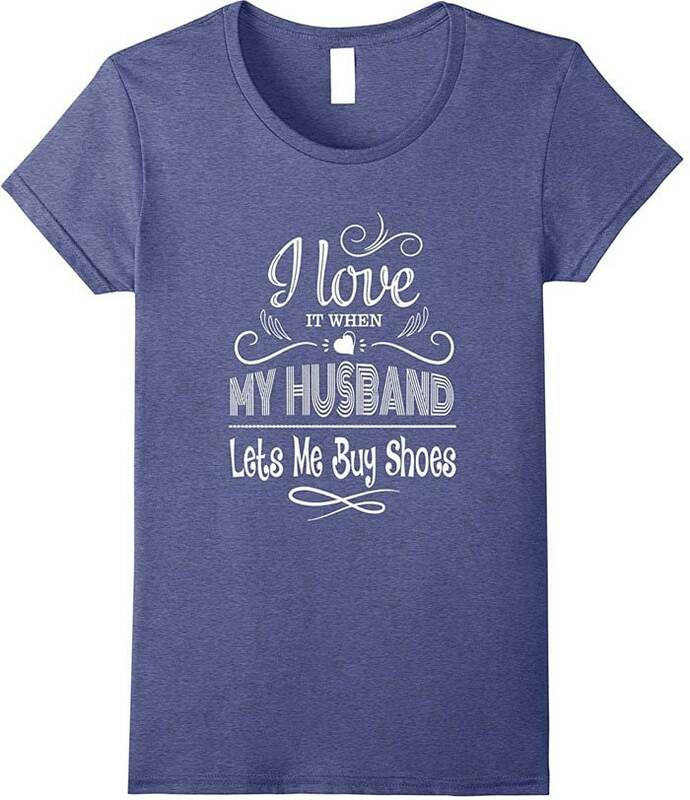 If you can’t think of what to give your shoe-obsessed friend — apart from footwear — here’s a novel idea: T-shirts. 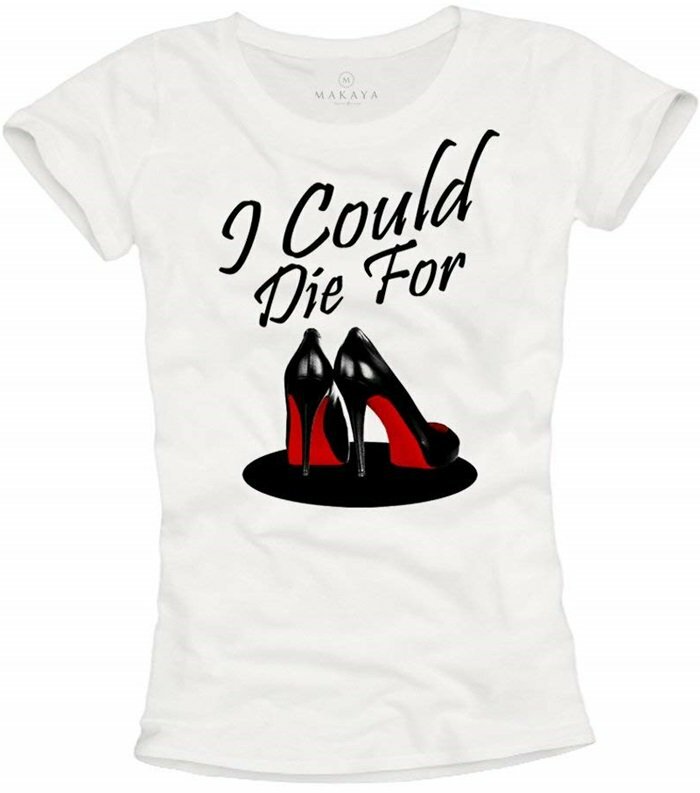 We’ve rounded up 12 of the cutest shoe design tees for footwear addicts. Statement tees are always fun to give as presents, especially when they’re clever and quirky. 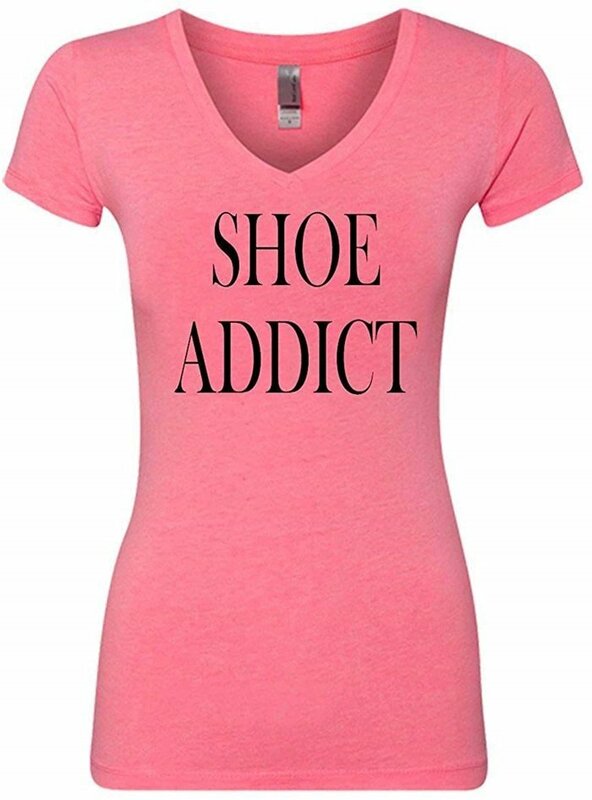 Put a smile on your friend’s face by gifting her one of these adorable shoe-holic tees we found online. 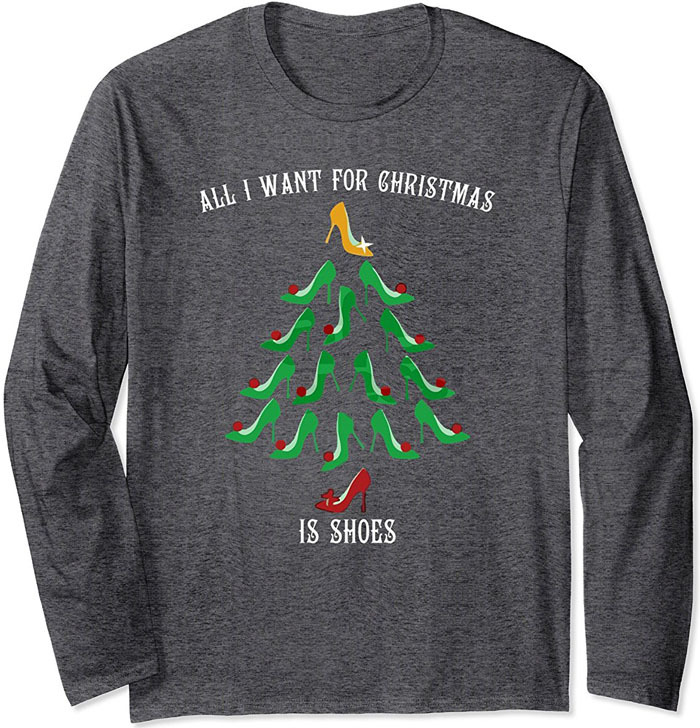 If you’re looking for a Christmas sweater to gift her, check out the “All I Want For Christmas is Shoes” long-sleeved tee that’s also available in blue and black. 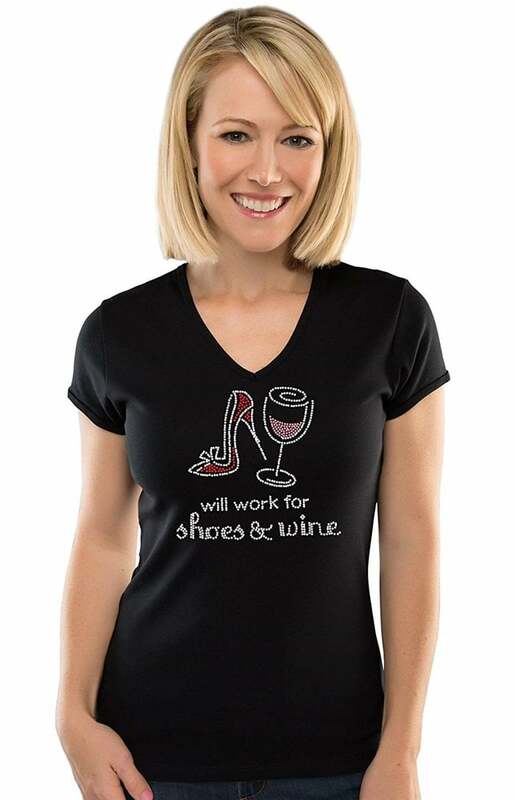 For t-shirts that she can wear all year round, we’ve rounded up other cute pieces that will surely incite laughter. 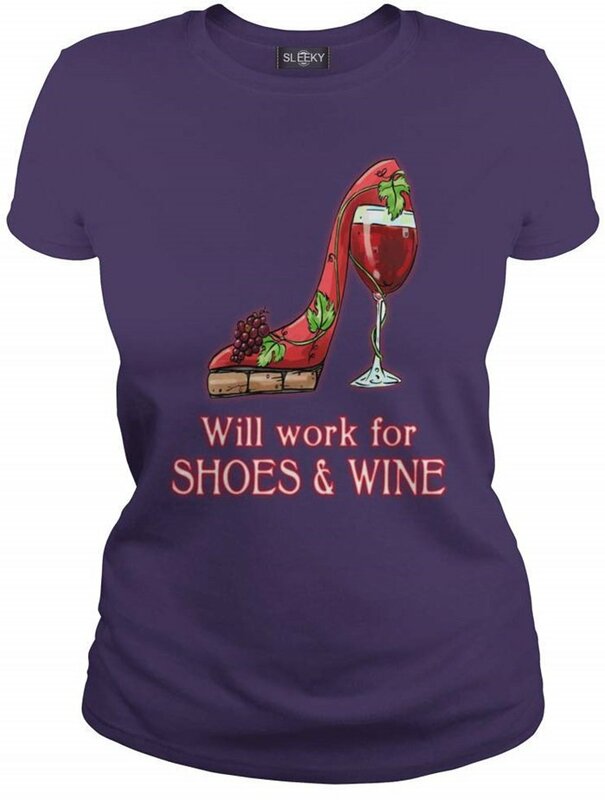 Our favorite of the bunch is the “Will Work For Shoes” one because it’s not too far from the truth. Oopsie. For those who are just too posh for statement tees, shoe art prints might be a better option. 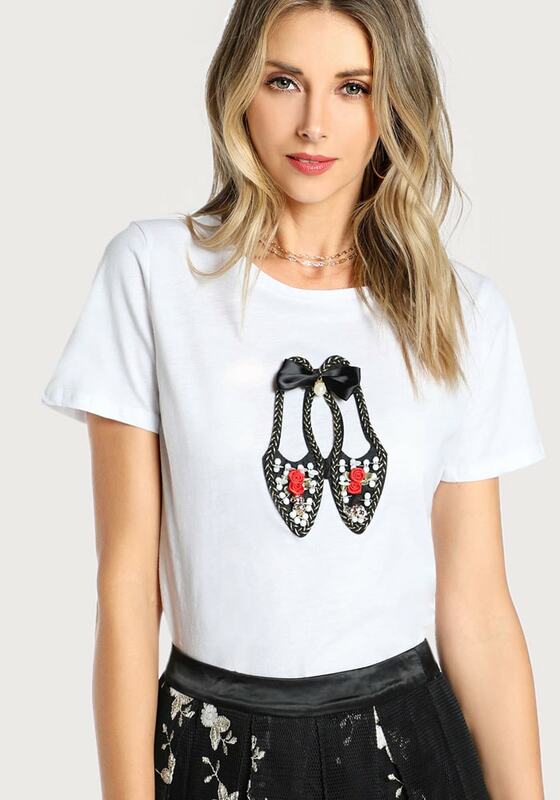 Even high-end brands Moschino and Marc Jacobs have created their own versions of the shoe print tee. 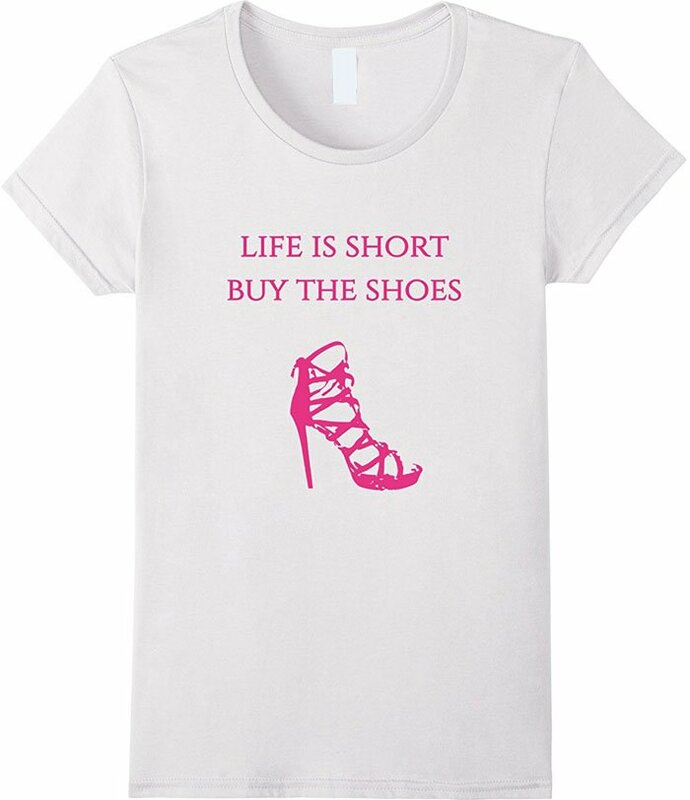 If your friend loves to collect beautiful shoe sketches by world-class designers, she might enjoy wearing these beautiful shoe print tees. Some even come embellished with feathers, faux roses, ribbons, and pearls. Wearing a printed T-shirt tends to be a way of making a statement, even if subconsciously. Many labels have many different prints, and while it’s true that you can choose from a never-ending array of labels, it can also be hard to know where to start. That’s where Marc Jacobs‘ classic printed tees come in. 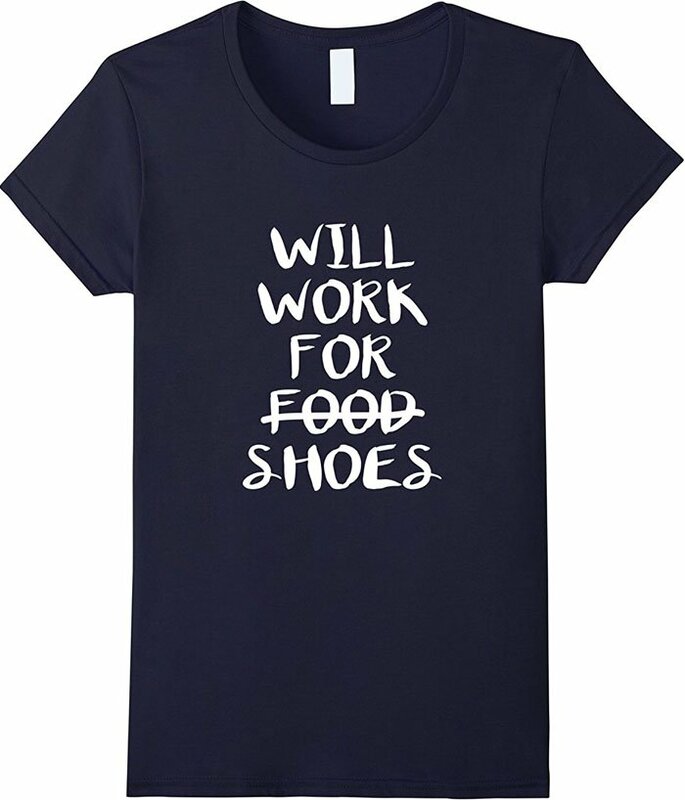 This black cotton shoe print classic tee features a ribbed round neck, short sleeves, a relaxed fit, a straight hem and a colored shoe graphic print at the front. This shoe design cotton jersey is also available in black, gray, white, and red. We get a huge kick out of seeing behind-the-scenes sketches from shoe designers. 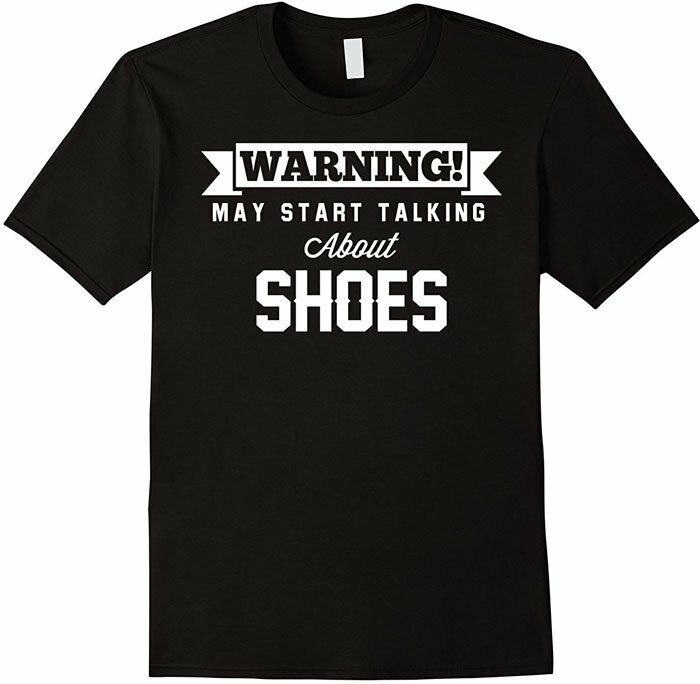 If we had to choose between statement and shoe art tees, we’d probably go for the art tees, because they’re such a fun way of paying homage to our love of shoes. 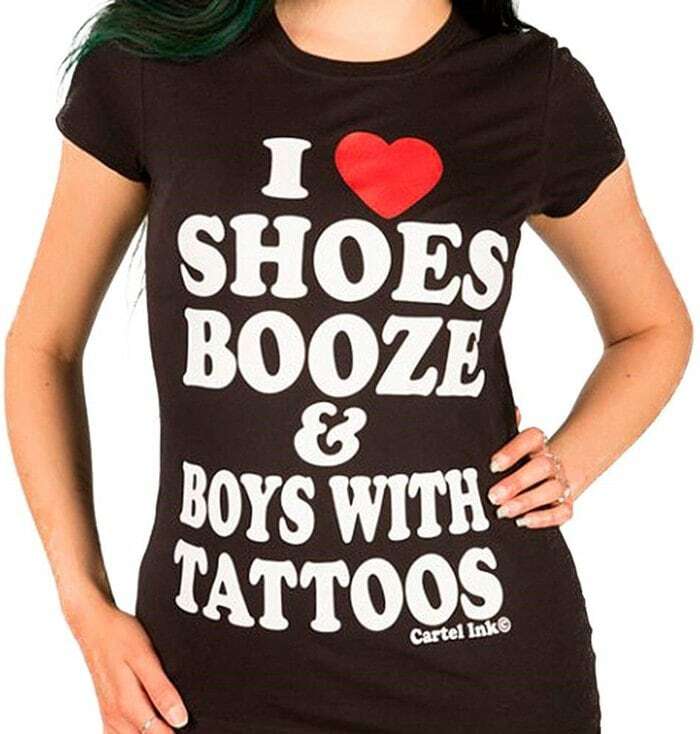 But, we wouldn’t hesitate to grab a statement tee for laughs. Which one will you get your friend for her birthday or Christmas?